In an era of immediate online communication, social media and powerful data-analytics tools are helping grassroots candidates gain credibility and win elections. 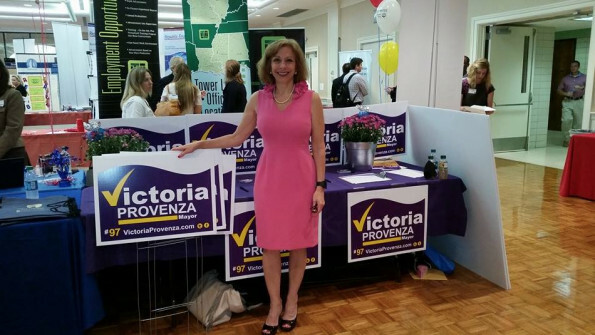 Victoria Provenza, a Shreveport, La., mayoral hopeful, is proof of social media’s power. Coming from the private sector, Provenza has never held office, but despite her inexperience, she says social media enabled her to take the lead against career politicians. Social media platforms have allowed the Provenza campaign access to communities that traditional media are unable to tap, such as disenfranchised minorities or disengaged young adults. “By reaching into those communities and mobilizing them… they’ll collectively come together and show up at the polls Nov. 4th,” she says. Twitter has been especially important in this organizing effort, Provenza says. By encouraging key supporters and civic groups to use the hashtag “#teamshreveport,” when engaging in online discussions, Provenza has been able to spread her message – and digital brand – virally. She says at its inception “Team Shreveport” had about 40 supporters, and it has since grown to over 10,000. Mike Moschella, vice president of political organizing for NationBuilder, the online community-organizing platform Provenza utilized during her campaign, agrees. “Social media has had a huge impact in leveling the playing field,” he says. These tools have changed the dynamic by expediting communication, particularly for a political outsider, Moschella says. Before the advent of social media, being a grassroots candidate meant two things: “You called up a lot of people on their landline, and you knocked on a lot of doors,” he says. But these methods were time-consuming, and limited in impact, he says. Grassroots candidates were only able to reach people who picked up their phones or opened their doors. It was unknown if these individuals were influential in their communities or if they would engage with the campaign. This was true in the campaign of Megan Goldish, an underdog candidate for Circuit Court Judge in Cook County, Ill. Sean Tenner, president of KNI Communications, the firm in charge of Goldish’s campaign, says connecting with the community in a meaningful way is what helped Goldish win the 2014 midterm election. And that’s where “the picture” came into play. Tenner says his team snapped a photo of Goldish meeting with Texas State Senator Wendy Davis, who at the time was gaining notoriety for her filibuster of a restrictive abortion bill. By aligning Goldish with Davis, Tenner hoped to inspire voters. Using Sentric Technologies’ Crowdsearch, a social media monitoring and analytics tool, the campaign was able to identify potential supporters and key community groups based on a real-time algorithmic analysis of the sentiments being expressed on social media. The campaign was then able to strategically disseminate the photo along with its message and start online dialogues. Crowdsearch was deployed 98 hours before voting took place, but by capitalizing on these trending topics, Goldish was able to come from behind and win, Teles says.